22,500 students from over 80 countries are enrolled at Birmingham City University, making it an exciting and diverse place to study. Located in UK’s second largest city, the University has a strategic and convenient location with Birmingham International Airport nearby and fast access to London, Manchester and the rest of the UK. A significant proportion of undergraduate and postgraduate courses enjoy professional accreditation, including the Accountancy courses which receives maximum exemptions from ACCA and is one of the only two public universities in the UK which is awarded the Platinum Status for ACCA Approved Learning Partner. 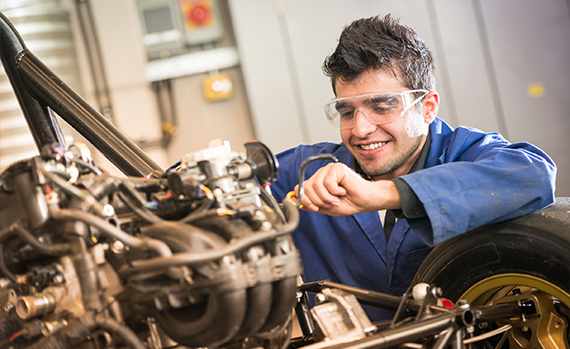 Other courses with professional accreditations include Architecture, Education, Engineering, Law, Marketing, Nursing, Psychology and Social Work. 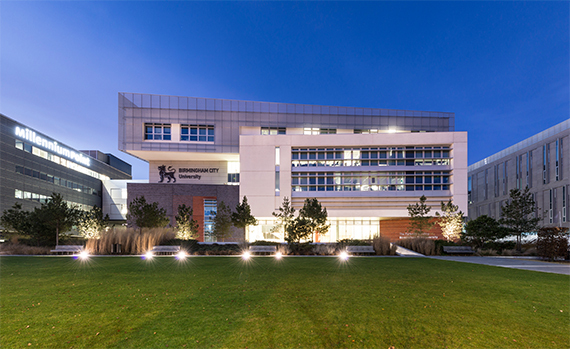 Birmingham City University is the largest provider of undergraduate study in the Midlands. 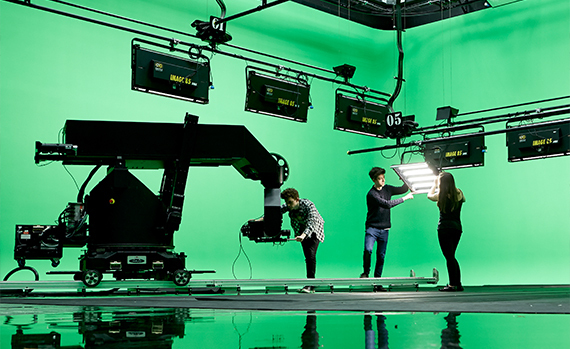 In addition, the University has increased its portfolio of high-tech degrees in recent years, with a particular focus on media, electronic commerce, network engineering and electronic systems.Birmingham City University is one of the top 30 universities in the UK for spending on facilities, with a total spending of £260 million invested in facilities. The faculty of Business, Law and Social Science will be house in the Curzon Building which will be open for the September 2015 intake. In the most recent National Student Survey, 83% of students were happy with their course, while 87% agreed that faculty staff were good at explaining classes and teaching. Birmingham School of Art is the first Municipal School of Art in the United Kingdom and has been educating art professional since 1843. Music and Dance and Drama ranked in the top 20 in the UK while Media Studies is ranked 25 by the Guardian (2016). In the most recent Research Excellence Framework, almost 90% of Birmingham City University’s work was deemed ‘outstanding’ or ‘very considerable’. The Business School is reputable for its strong and unique links with professional bodies. The MSc Accountancy and Finance (CIMA Pathway) is the one of the only courses in UK which receives maximum exemptions from CIMA while many other business courses are accredited by professional bodies such as ACCA, ICAEW, CIM, CIPD, AIA etc. Birmingham City University provides free-of-charge visa and immigration advice and assists international students in extending their visa in the UK. Birmingham City University also operates a meet and greet team for all international students coming to the UK, and run a service three times a year in which the student services office will meet students at Birmingham International Airport and help them check into their university accommodation. Orientation programmes take place at the beginning of September and are aimed at helping international students with their new surroundings and university with the minimum of fuss. Talks, workshops and social events will offer the chance to find out more about the students new home. This programme is free to all EU and international students. 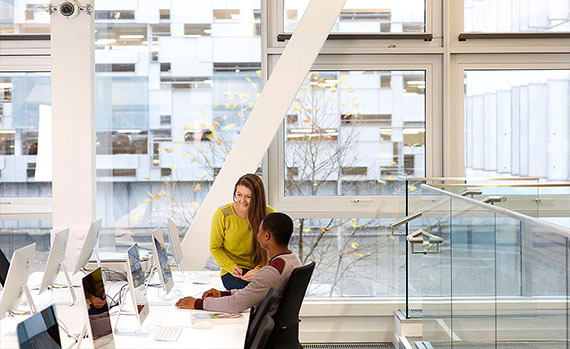 Birmingham City University’s Student Services are a central point of further information and advice for international students and run a regular drop-in service called ‘The Student Help Zone’. Birmingham City University accommodation is guaranteed to all first-year students. In addition, a range of housing options are offered, from self-contained flats to adapted accommodation for students with special requirements. Housing is safe, secure and affordable and offers the chance to live and study close to the centre of Birmingham, England’s second city. Privately let accommodation is also available and located around the city. The Accommodation Services Team is on hand to assist all students with questions, queries and issues. 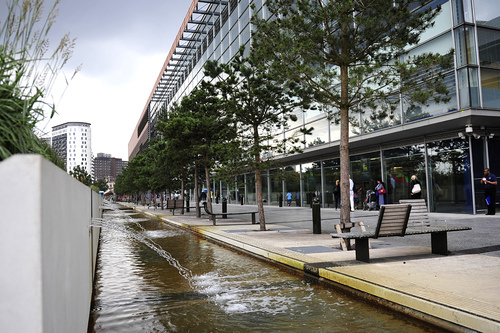 Birmingham City University is divided into three main campuses in the Birmingham. Birmingham is a major European city, and home to some spectacular architecture as well as venues for art, music, theatre and sport, excellent nightlife, great shopping and eating, including the world famous Bullring Centre. The city also benefits from being surrounded by beautiful countryside. Its position in the centre of England makes it a convenient base from which to explore the UK and Europe; the city is less than two hours away from London by road and rail, and has its own international airport. Warwick, Stratford, the Peak District and Wales are also all within easy travelling distance.